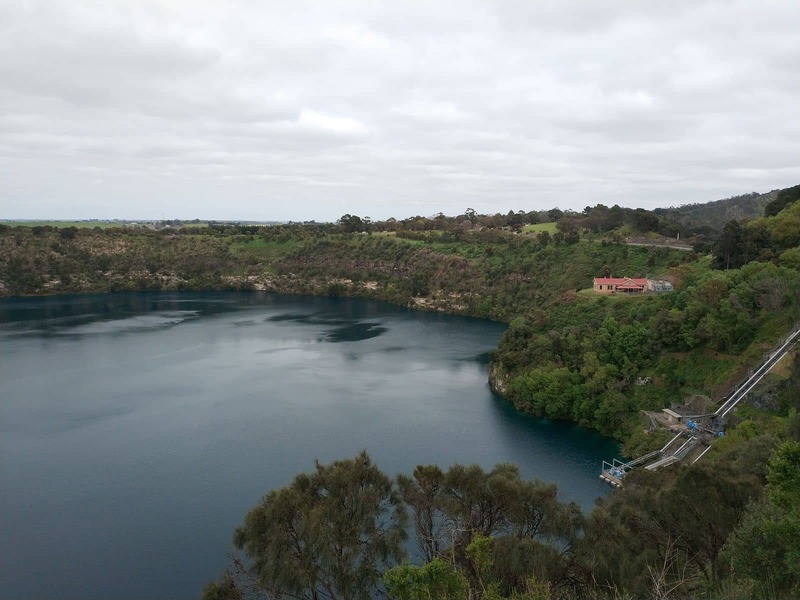 As one of the most-visited tourist spots in Mount Gambier, the Blue Lake is considered to be the gem of Mount Gambier’s tourist attractions. It is certainly a unique and breathtaking sight which awes thousands of visitors year after year. 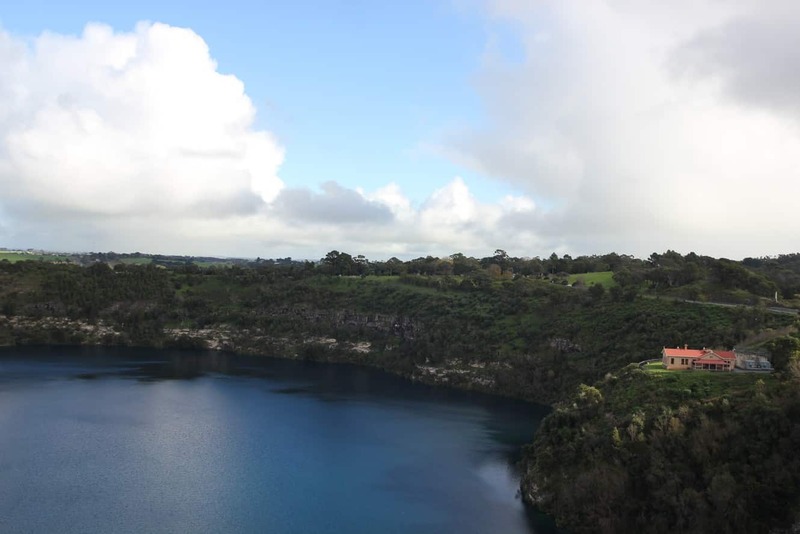 Nestled on a gorgeous volcanic landscape, the Blue Lake inhabits on one of the extinct volcanic craters of Mount Gambier. 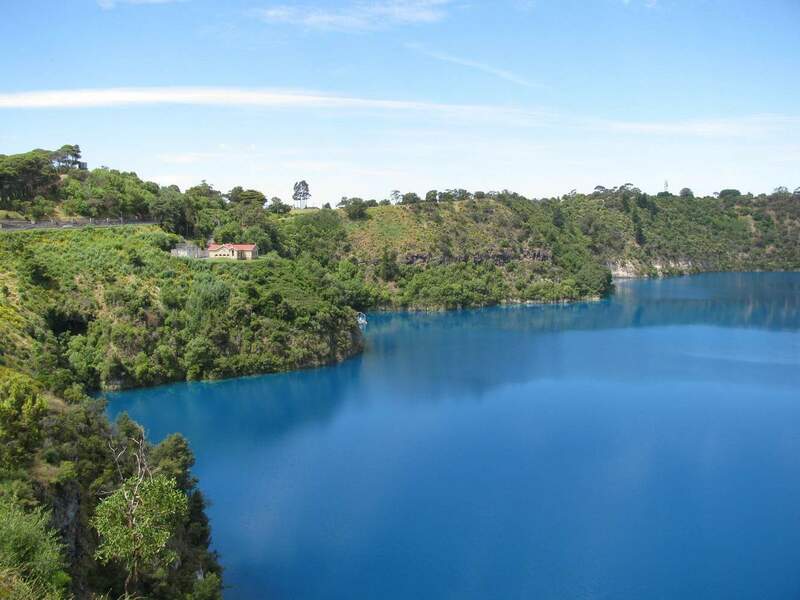 Whilst offering many awe-inspiring scenic spots of Mount Gambier and its volcanic crater, the Blue Lake also boasts a vibrant cobalt blue colour during the months of December through to March each year. From April through to November, the lake turns to a darker steel grey colour. There are a number of theories behind the mysterious colour change of the water, but it generally accepted that the change in colour has something to do with the water temperature of the Lake. 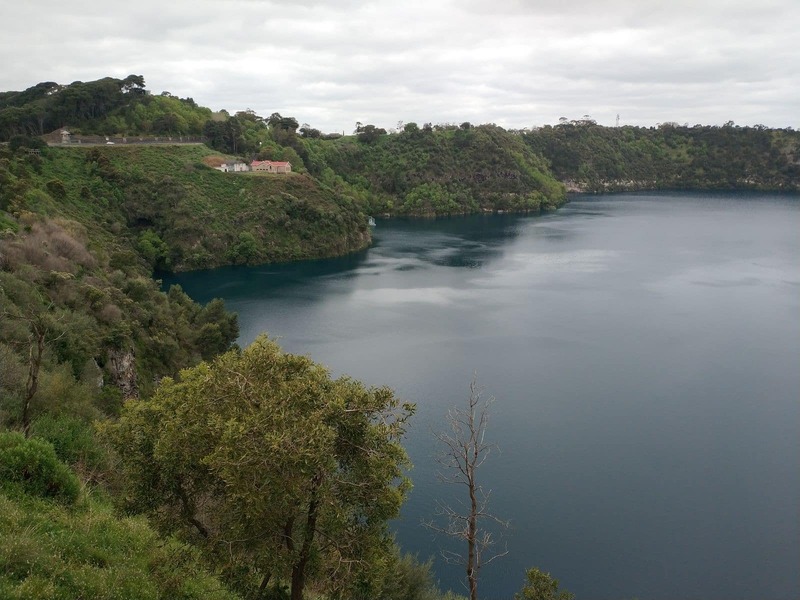 The Blue Lake offers a walking trail that is 3.6 kilometre long which will direct visitors to each of the viewing platforms dotted around the Lake. 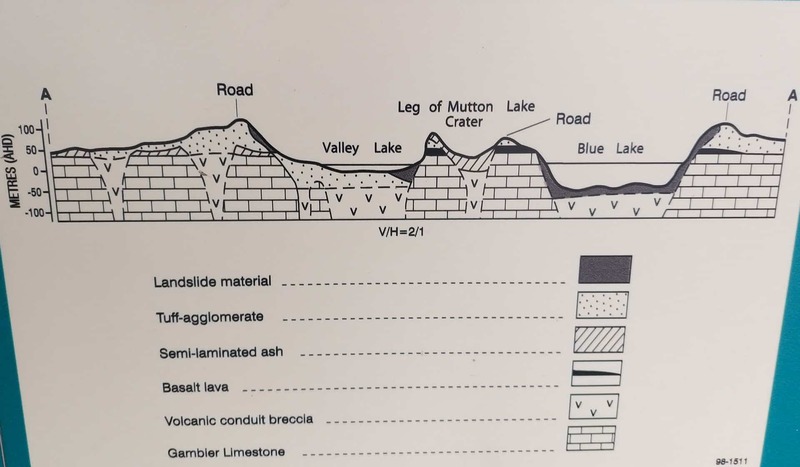 The trail also leads to the underpass between the Leg of Mutton Lake crater and the Blue Lake. Several guided tours are available for visitors to the Blue Lake. Each tour will take you through the trail around the Blue Lake to show its various view points near the craters, tunnels and valley areas. 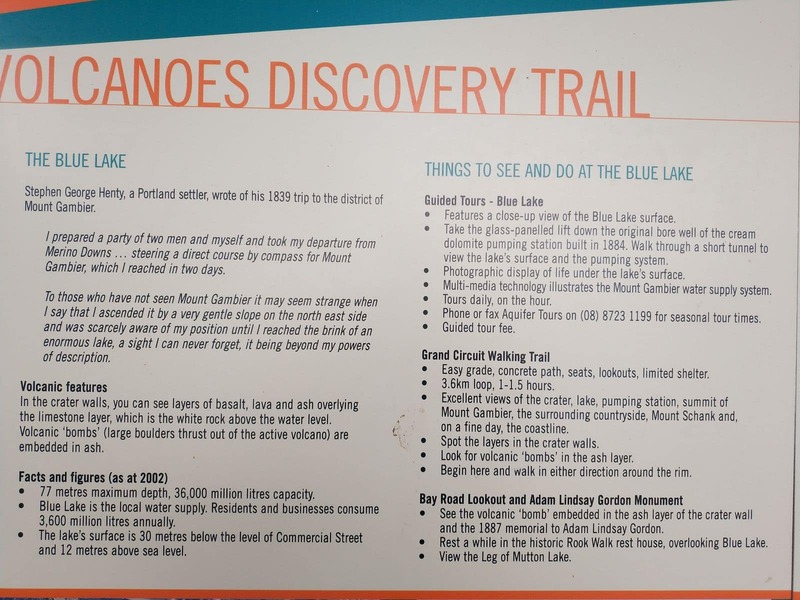 The volcano discovery trail is one popular activity in the Blue Lake area. There are a number of accommodation options for those who wish to stay nearby the lake, including the Blue Lake Holiday Park. The Blue Lake Holiday Park offers accommodation for all budgets including caravan sites, camping sites, private cabins and cottages. Check out the accommodation options listed below. 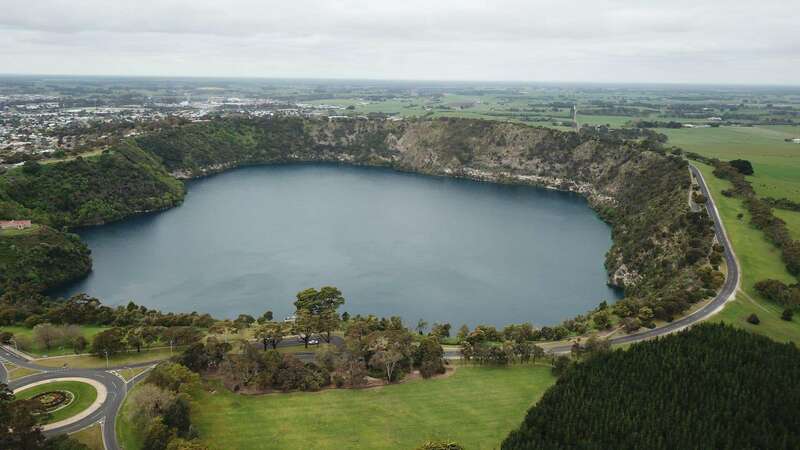 Significant sites within the vicinity of the Blue Lake are the Valley Lake crater, Leg of Mutton crater and other volcanic viewing platforms. Some tours last for around 45 minutes to one hour across so make sure you bring your walking shoes! Click the link below to book accommodation nearby and visit more than once! My partner and I are regular divers. We know if you want to snorkel / dive at Pincanninie Ponds you need a permit. Can you dive in the Blue Lake? If so where is the best entry point etc? As far as I know, you can’t dive in the blue lake – likely due to it’s the towns drinking water supply, it doesn’t have easy access to the water’s edge (i took the aquifer tour and even after taking an elevator down, we still didn’t get close to the water), and lastly, it’s not part of the National Parks of South Australia). As for Piccaninnie Ponds, you can do indeed need a permit from the Department for Environment and Water, along with being members of the Cave Divers Association of Australia and rated at “Sinkhole” Category. 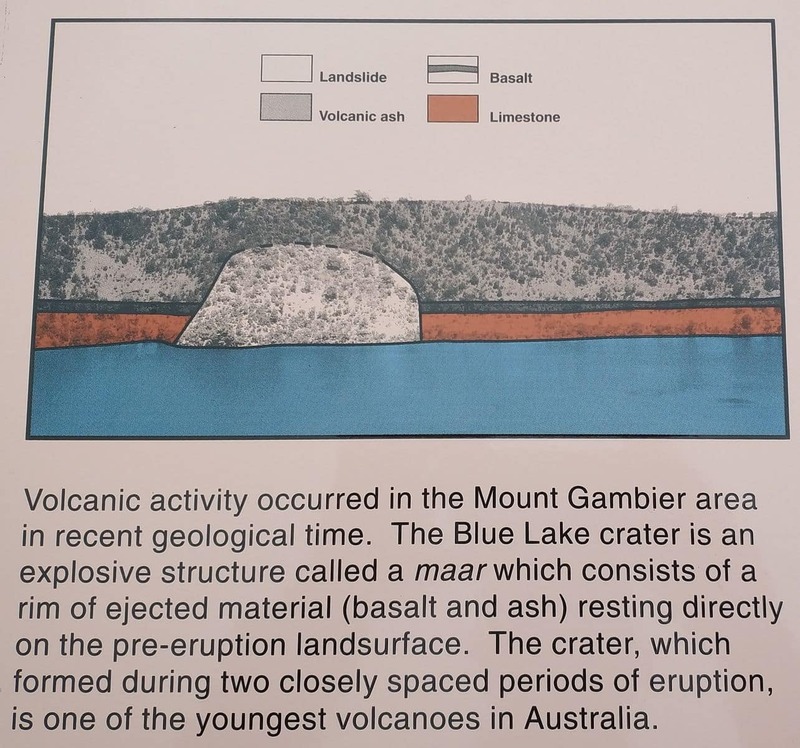 I have some of the details over at https://www.mountgambierpoint.com.au/attractions/lakes/piccaninnie-ponds/ where I took photos of the signage there, but to book, just visit the page over at https://www.parks.sa.gov.au/find-a-park/Browse_by_region/Limestone_Coast/piccaninnie-ponds-conservation-park/booking/diving for more information and to secure a time. 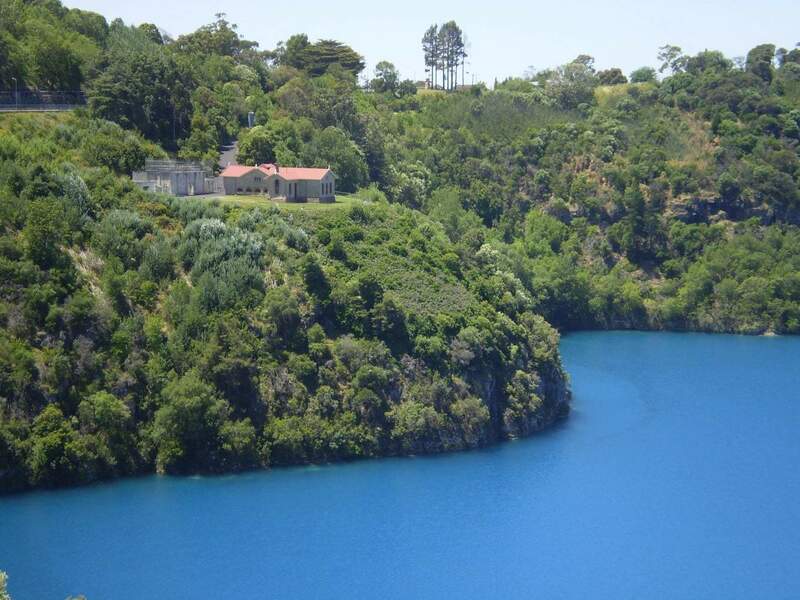 Hello, I am planning to visit Blue Lake on the way to Melbourne in September. Would the colour of the lake still be grey at this time of the year normally? Thanks. It’s stated on Wikipedia that “During December to March, the Blue Lake turns to a vibrant cobalt blue colour; returning to a colder steel grey colour for April to November”. SO based on you arriving in September, odds are it will still be the grey colour mentioned. 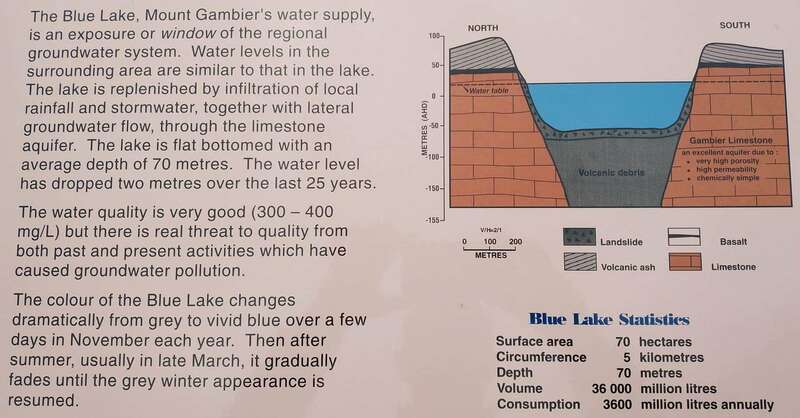 As the blue colour is linked to the temperature of the water, I wouldn’t expect the blue colour to return until we start seeing warmer temperatures at the end of spring. With the maximums still only reaching 16 this week, we are still a while off. We are planning to visit Blue Lake on our way driving from Melbourne to Ayers rock at 1 July, would it be on our way or much detour? what colour would it be? I assume you have plotted out your route and can see that most drives will take you north of the Grampians in Victoria before you head over the VIC/SA border at Bordertown. 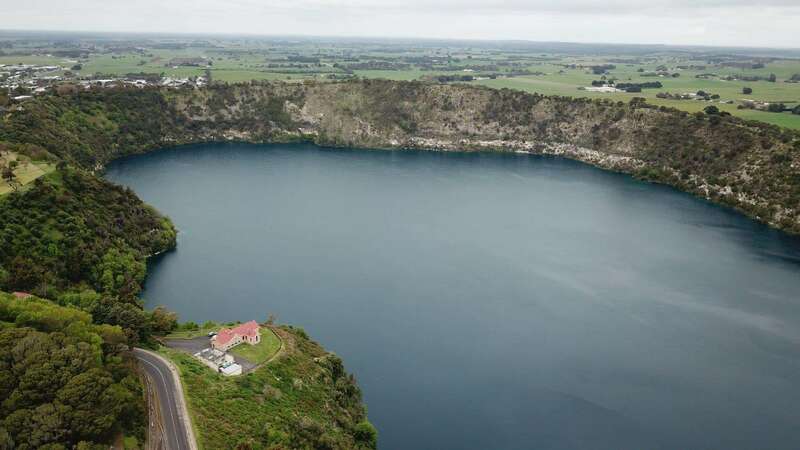 Mount Gambier is 200kms south of Bordertown, so is very much out of your way. You will be in the middle of winter in July, so the Blue Lake is most likely to be a darker steel grey colour at this time of year. I heard its really hard to access is that true? No, the Blue Lake not hard to access at all. There is a main road that runs alongside the lake with plenty of spots to stop and look. 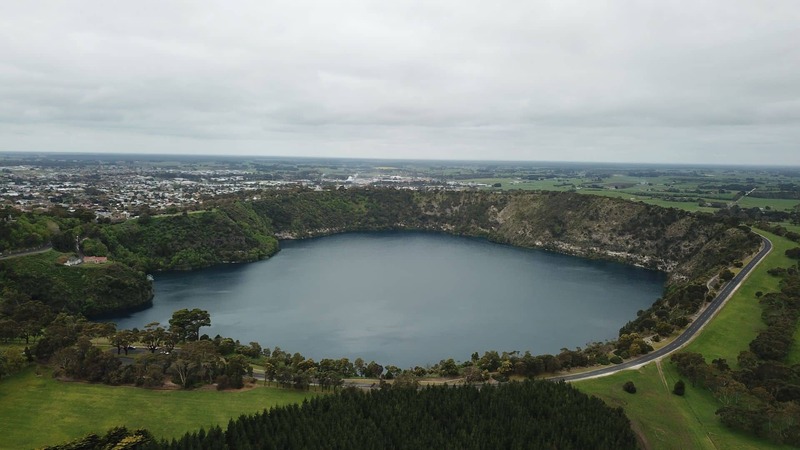 Hi, We are visiting mount Gambier tomorrow – just wondering what colour the lake is this week? Is it the beautiful vibrant blue that people have commented on? At the moment the Blue lake is dark blue, almost turning to grey. This is due to the colder weather, so certainly not a vibrant blue like you would expect in the height of summer. The Blue Lake is an outdoor attraction and dogs are permitted to attend on a leash. Yes, you will find picnic tables scattered around. There are also some great spots at the nearby Valley Lake. 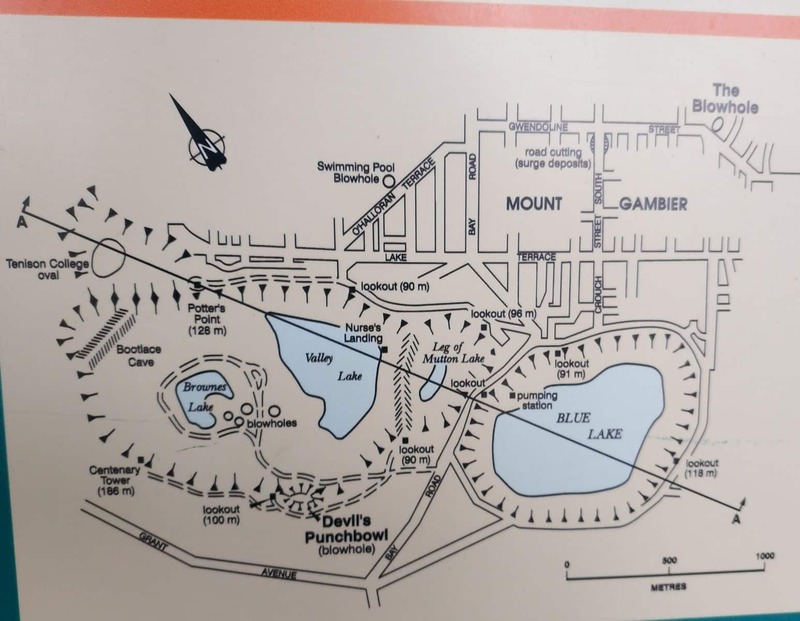 So maybe take a drive around the Blue Lake, hop out at the various lookout point, then head over to Valley Lake (2 mins drive) and enjoy a quiet picnic there. Hi there! 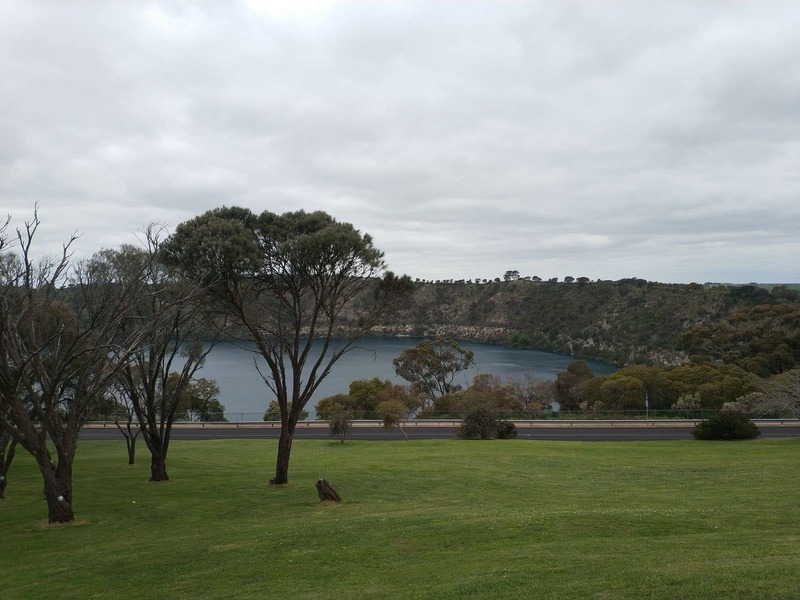 We are planning to Visit Mount Gambier at the end of this month. What would be the colour of the water of the Blue Lake? The lake is blue all year round, but with the amount of rain we have been having it might turn a shade of teal/green. No free camping right near the Blue Lake, however I understand the Mt. Gambier Showgrounds may offer free camping there. There are of course paid caravan parks located nearby, but perhaps not what you are looking for. Camping at the Showgrounds is $15 per couple unpowered and $22 powered & $25 family. Might be less for solo and is more for children. I am planing to visit Blue Lake early October this year. May I know what’s the colour of Blue Lake at that time? The Blue Lake is at its most vibrant from December to March. In October, it is generally a more steely blue colour. I am quite new to Adelaide and exploring nearby destinations. 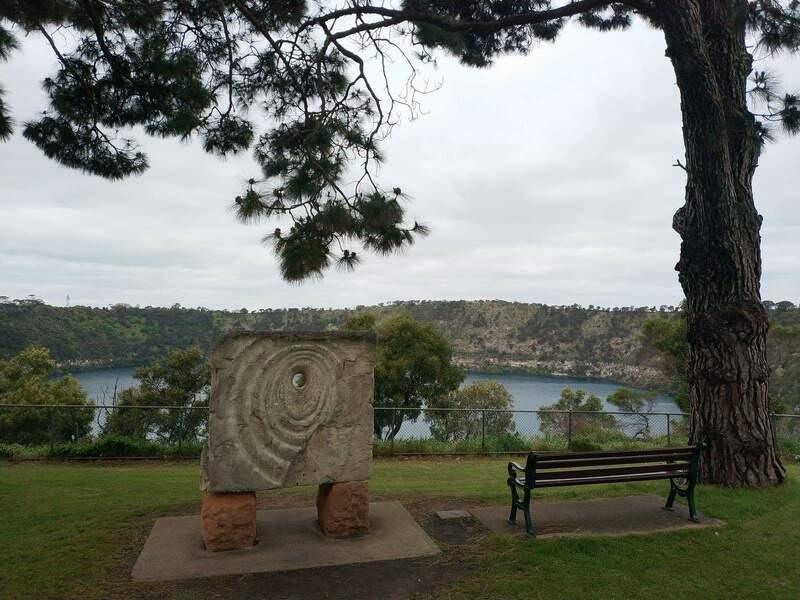 Can you suggest the best time to explore Mt Gambier and how many days do you think are ideal? 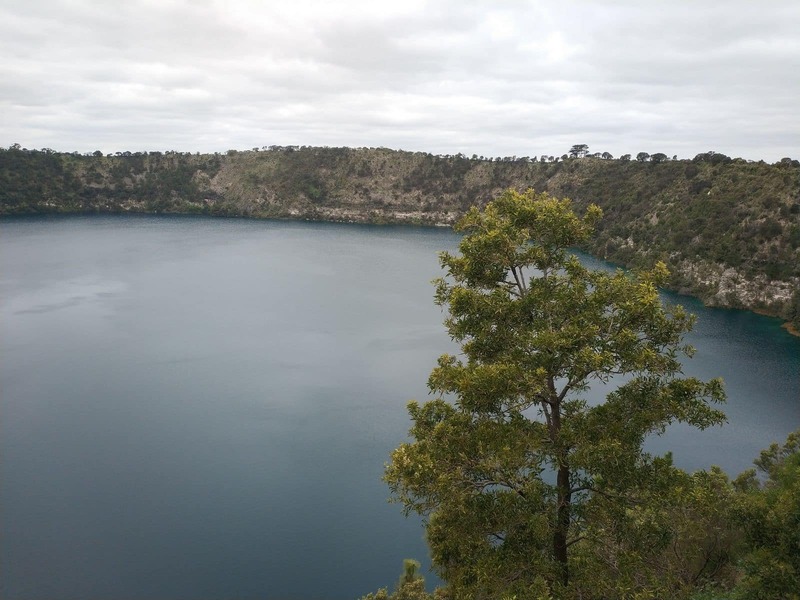 I think the best time to visit Mount Gambier is around October / November. This is spring time and the sun will be warming things up and the flowers will be in bloom! The Blue Lake is also very clear at this time. In terms of how many days, I would probably stay around 4 nights. 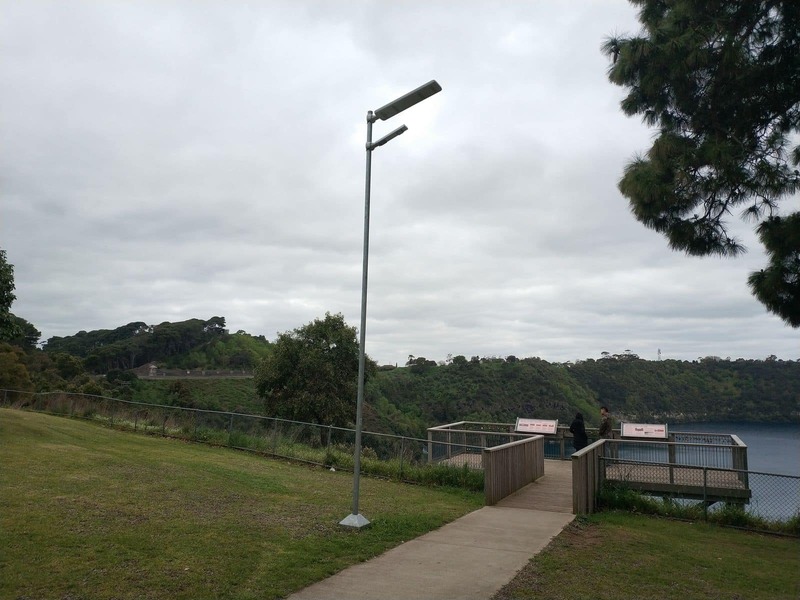 Spend one day exploring Mount Gambier town, one day exploring Coonawarra and the Naracoorte Caves, another day up near Tantanoola (to the Tantanoola Caves) and Millicent and another day down at the coast, perhaps around Port Macdonnell. If you are up for a drive, Robe is a beautiful little sea-side town which is about 1.5 hour drive north. As for what to see in town, these are the best attractions: Blue Lake, Engelbrecht Cave, Umpherston Sinkhole and Valley Lake. You can find a list of all the attractions here. There are some great accommodation providers in town, the Barn is very popular and serves some of the best steaks around, and Colhurst House is a beautiful Bed and Breakfast. You can browse through the various types available here. 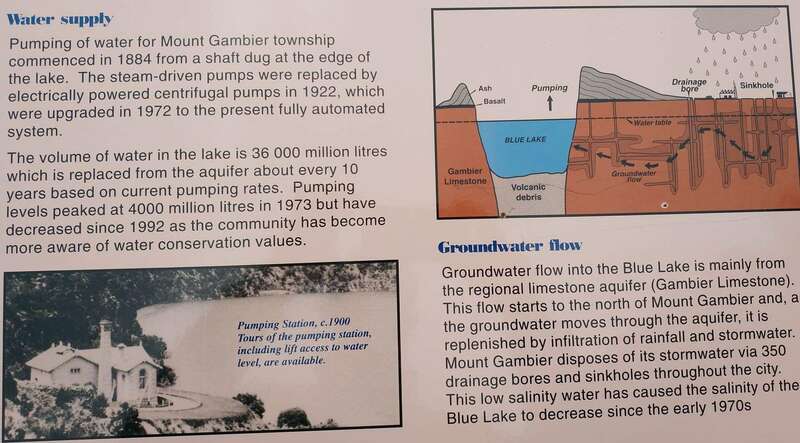 I hope this information is helpful and have a great time in Mount Gambier! 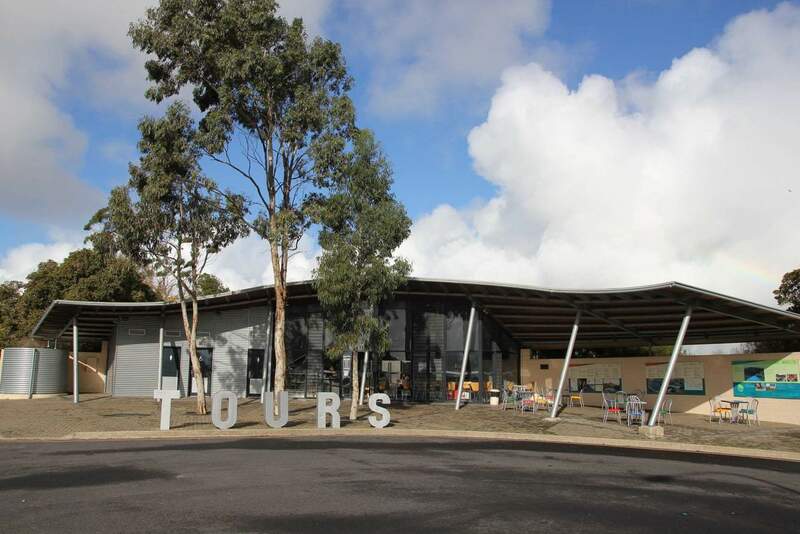 We are looking to stop at Mount Gambier on our way to Alice Springs in December. We are travelling with our two dogs and wondering if we can have our dogs on leash while discovering the Blue Lake? Also they go with us to the Little Blue Lake? If you have any other information on attractions we can see with our dogs that would be much appreciated. Yes, you can absolutely take your dogs with you on a leash to the Blue Lake. 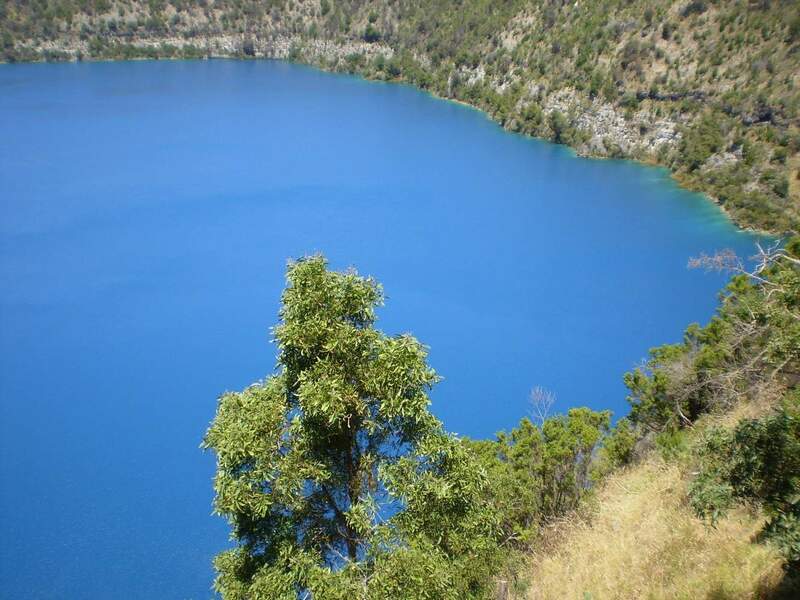 The Blue Lake is not a swimming lake and is best enjoyed by taking the 3.5km walk around the rim. Something I am sure your dogs will love! The Little Blue Lake operates in much the same way, except there is no path. It would only take a few minutes to walk around as it is only around 200m in circumference. As for other attractions, you cannot take your dogs into any of the caves including Cave Gardens, the Umpherston Sinkhole or the Engelbrecht Cave. However, you can certainly take your dogs into the parklands surrounding these areas, just not physically inside the caves. I would recommend you take your dogs a long walk around the Valley Lakes (on leash) or maybe up to Centenary Tower. 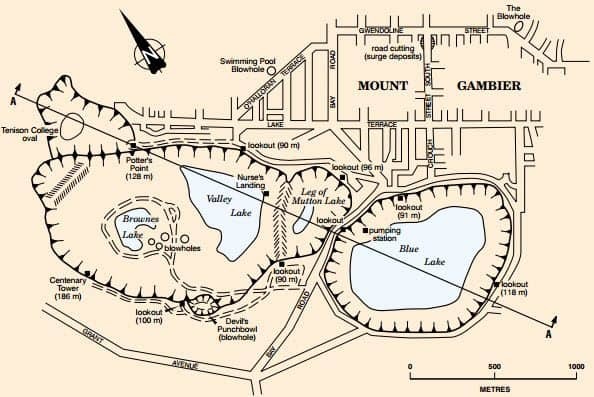 Here is a handy map of all the off leash dog areas in Mount Gambier that you might find useful. Have a great trip to Mount Gambier! HI there, Just wanting to know if there is pram access around the blue lake and surrounds? Yes, it is very easy to navigate your way around the Blue Lake with a pram. There are paved pathways going around most of the lake. There are also a number of lookout spots that don’t require you to traverse stairs or anything. Its a really lovely walk around the lake, so I hope you enjoy it! Hi there, I would love to check out the Blue Lake. Coming in April 2017, but hubby wants to know if there is any fishing nearby (I assume you can’t fish in the lake) and what sort of fish might he catch? You are correct, fishing is not permitted in the Blue Lake. However, your husband can go fishing at the Little Blue Lake at Mount Schank where he may find redfin perch. Carpenter Rocks is also a good spot where he may find salmon and mullet. I also recommend you check out some of the online fishing forums for the latest fishing conditions and what he is likely to catch. 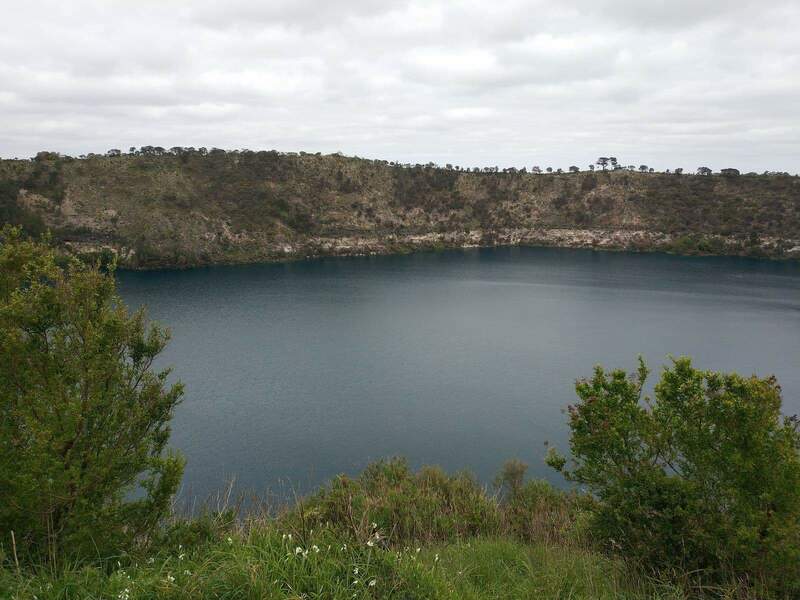 Have a great time in Mount Gambier and enjoy the beautiful Blue Lake! Hi there, we are thinking of coming there in December 2017 and are wondering if you are allowed to kayak and/or swim in the Blue Lake. Swimming and kayaking are not permitted on the lake as it is one of the town’s water supplies. You can swim in the Little Blue Lake which is located just 10 minutes away. Do they offer boat tours on the lake? Or can people take their own boats on the lake? Boats are not permitted on the lake as the source water quality is managed in line with the Australian Drinking Water Guidelines. Unfortunately you cannot dive in the Blue Lake. 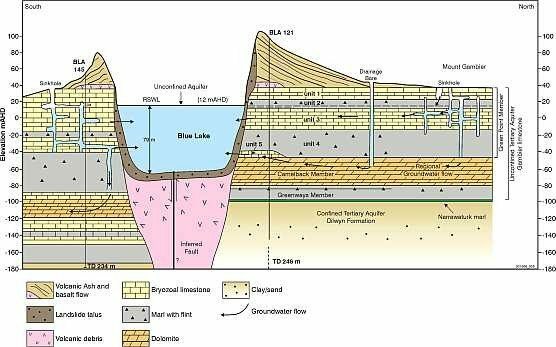 You can however, take a tour of the lake with an Aquifer Tour. As for diving, Ewens Ponds or Picaninnie Ponds as they are two popular freshwater diving sites in the south eastern region of Australia. Hi there, we are visiting in January 2017. Just wondering what time are the guided tours and what are the fees like? You can take a tour with ‘Aquifer Tours‘. There is no need to make a booking and tours run 7 days per week, on the hour, between 9am -5pm. Adults are $10, children (under 16yrs) are $5, Family (2Ad + 4Ch) are $29. No seniors or concession discounts are available. I am not driving, so can I reach the Blue Lake and the caravan park by public transport from the station? From town, the South East Bus Loop takes you to the Blue Lake. From there, the Blue Lake Holiday Park is about an 800 metre walk. You can find the bus route map here and a timetable here.